Bake And Destroy Chicago Premier! 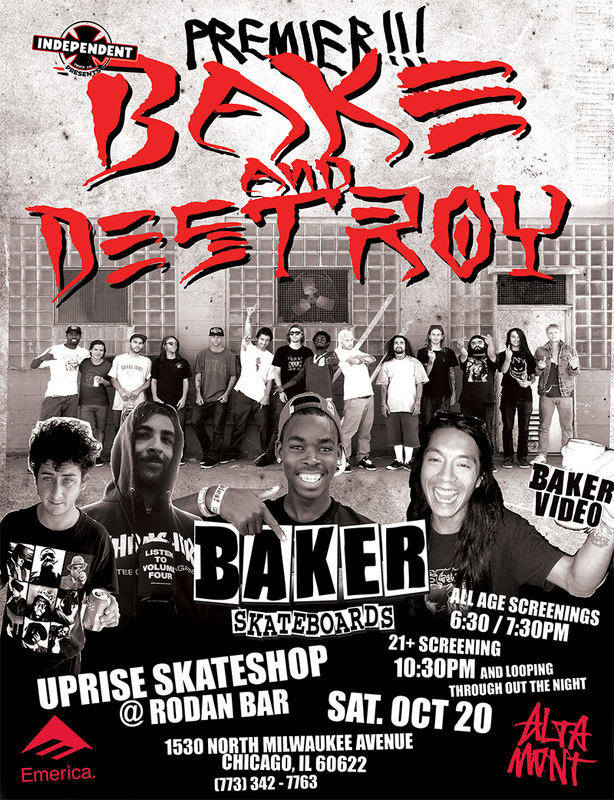 “Bake And Destroy”, Baker Skateboards newest video premieres tomorrow (Sat. Oct 20th) night at Rodan Bar! One of the most anticipated releases of the year, don’t miss your chance to see the notorious Baker Boys drop some serious hammers. In an attempt to keep the riots at bay; Two all-ages screening at 630pm and 730pm. For the elderly and alcoholics 10:30pm, with the video looping till close. Big thanks to JuneBug, Uprise, and Rodan for setting this up! Video runs at 630pm, 730pm, 1030pm – close.